Why Our Model Gives Him This Percentage: In his fifth full year, he has only made the playoffs once, losing in the Divisional round. His record in those five years is 40 -39, nearly perfectly average. Furthermore, this year the Cowboys have a miserable 4 – 11 record, a big step down from not only last season but also every season before that. What Our Model Doesn’t Account For: Injuries have played a big part in the Cowboy’s season, with both star wide receiver Dez Bryant and quarterback Tony Romo missing large parts on the season. Reports seem to indicate that Garrett’s job is safe, so it appears like Jerry Jones will place the blame for this season on those injuries rather than on Garrett. Why Our Model Gives Him This Percentage: In his third season, Bradley has recorded only 12 total wins (could be 13 with a win today), missing the playoffs all three years. Still, he was hired as part of a rebuilding project (following a 2 – 14 season) so the front office is likely giving him a longer leash than usual. Although the Jaguars haven’t found a lot of success on the field recently, the fact that Bradley is only in his third year and that there were such low expectations coming in keep his probability of getting fired relatively low. Why Our Model Gives Him This Percentage: He hasn’t been unsuccessful as a coach – two 10 – 6 seasons and a playoff appearance before this year’s 6 – 9 record. Considering he was coming in after a 4 – 12 season, they can’t be too dissatisfied with the on field result. He is only in his third year as well, and coaches are typically given a leash through their third season. 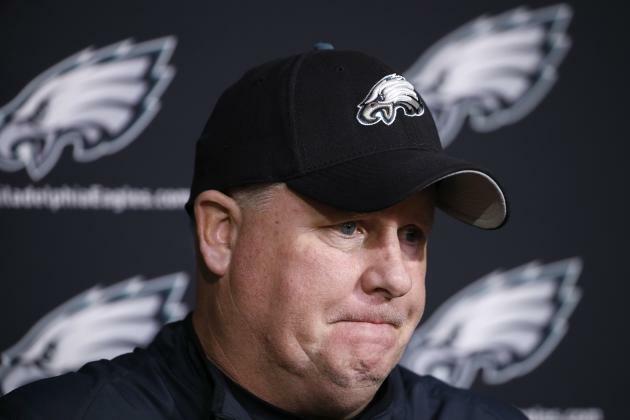 What Our Model Doesn’t Account For: The Eagles got a head start on Black Monday when they fired head coach Chip Kelly this past week, so a percentage of 41% may seem low. However, most reports indicate that the firing was somewhat of a surprise and that he lost the support of players and owner Jeff Lurie with his personality and methods, off field issues that our model does not consider (as doing so would be next to impossible). Why Our Model Gives Him This Percentage: After a relatively successful first year, the Browns have taken a step back this season with only three wins to date. Still, a relatively hard schedule (third hardest in the league as measured by SRS) and the fact that he is only in his second year help to keep his firing percentage somewhat low. What Our Model Doesn’t Account For: The Browns have shown a tendency to not give coaches a long time to prove themselves – Mangini had two years, Shurmur had two, and Chudzinski got only one. Perhaps this pattern of short-lived coaches will repeat itself and Pettine will not get to coach for the Browns next year. Mike McCoy, San Diego Chargers: 35.5% – Disappointing third season, but somewhat successful before that and only in his third year. Lovie Smith, Tampa Bay Buccaneers: 30% – Big step up from last season, but probably a disappointment on the whole. Only in his second year to he will get some slack. Tom Coughlin, New York Giants: 25.3% – Two Superbowls do wonders to lower his chance of getting fired here. Jeff Fisher, St. Louis Rams: 21.1% – Has had the misfortune of playing in one of the toughest divisions over the past four years, but management has to be tired of him not breaking .500 by now, right? Jeff Caldwell, Detroit Lions: 17.3% – Earlier in the season he was one of the coaches the model gave the greatest chance of getting fired to, but he has recovered since then. Still, they did get rid of basically the entire front office so who knows what they’ll do. Sean Payton, New Orleans Saints: 14.9% – A very mediocre 13 – 18 over the past two seasons, but has that Superbowl ring (and other playoff wins) to point to. Jim Tomsula, San Francisco 49ers: 14.1% – Seems to be one of the leading candidates to get fired after racking up only 4 wins (to date) after an 8 – 8 season, but he is only in his first year, a fact that our model gives a lot of weight to. Jay Gruden, Washington Redskins: 10.8% – Given that he is only in his second year and the Redskins made the playoffs this year it would be a shock if he is let go, but he did have a sad 4 – 12 season last year, and even this year hasn’t been that great. Chuck Pagano, Indianapolis Colts: 8.9% – Reports surfaced this past week that Pagano would not be retained at the end of the season, so it interesting that our model has him so low. Looking at the components of our model, it is clear why he is so low. He has had playoff success – making the playoffs three of his four years and making the divisional round twice (assuming that the Colts don’t make the playoffs this season). He came in after a dreadful 2 – 14 season, so expectations were low, which makes the fact that he has compiled a 40 – 23 record so far even more remarkable. Furthermore, the Colts record this year will either be 7 – 9 or 8 – 8. Although this is markedly lower than last season, it isn’t a terrible record by any stretch of the imagination. Build in the fact that they lost quarterback Andrew Luck for most of the season and had to play 40 year old Matt Hasselbeck and career backup Charlie Whitehurst, and it wouldn’t be inconceivable that they would retain Pagano. From all reports, however, there seems to be a “toxic” relationship between him and GM Ryan Grigson, which might explain him being let go. Those are pretty much all of the coaches our model designates as having a chance of being fired, with Rex Ryan (8%) and John Harbaugh (6.6%) being the only other two coaches with a probability above 5% of getting fired. The least likely to be fired? That honor belongs to Bill Belichick, with a microscopic 0.2% of getting canned. Even that seems too high.